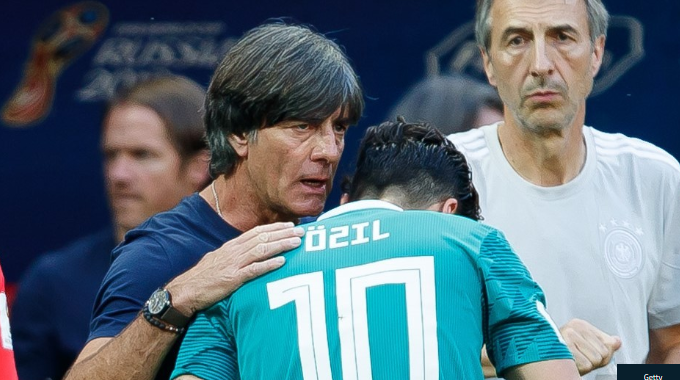 Germany crash out of World Cup group stage after defeat to South Korea, With 0-2 defeat against South Korea, Germany became fourth defending country to be eliminated from Group stage in th world cup. France in 2002, Italy in 2010, spain in 2014 and now Germany has been added to the list. With 3 points in hand alongside Sweden, Germany had to win this game. at the end of the game, sweden defeated mexico by 3-0, so does germany had to defeat south korea by 3-0. Germany tried everything they could. but their attacks were not effective thorughout the game. South korea had a disciplined defense strategy lined up today and the did their role very well. All attempts made by Germany were not so effective. out of 28 attempts germany made, only 6 of them were on target. despite the South korean's defense, this shows German attacking players were not effective throughout the game at all. Badluck, German conceeded first goal at 92nd minute. Kim young gwon of South Korea scored a superb goal from right in front of the German's goal post. Later, Manuel Neuer stepped up to the Korean Side and tried to give extra foot to his teammates. taking advantage of that, Ju se-jung shoots the ball towards the empty post on the German side, where Son heung-min just had to give the ball proper direction into the back of the net on 96th min. South Korea became the first Asian team ever to defeat Germany. With this result, both South Korea and Germany gets knocked out of the FIFA world cup 2018, Russia with Germany on the bottom of the Table.